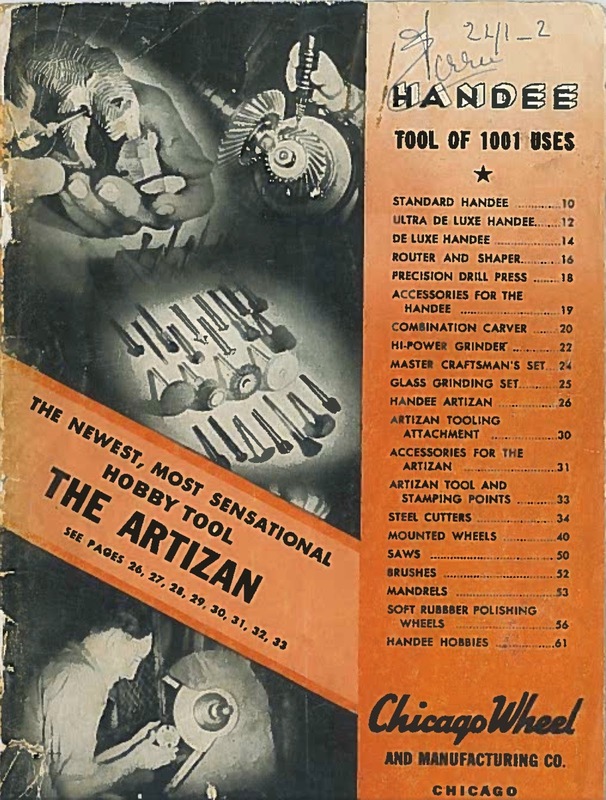 Quite widely advertised at the time, the versatile hobby-tool of its day, the Handee. 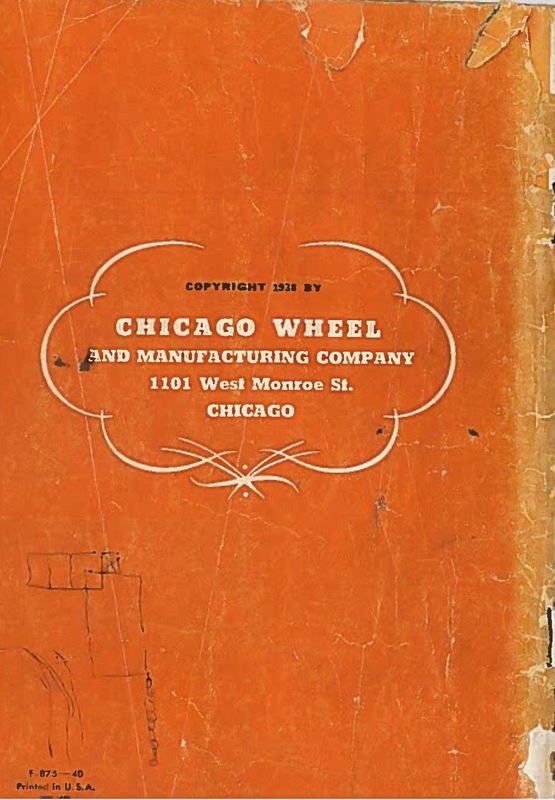 Haven't sent for the catalog, but somebody did do so a while back and it somehow ended up on my bookshelf. This is what the little catalog booklet looks like. 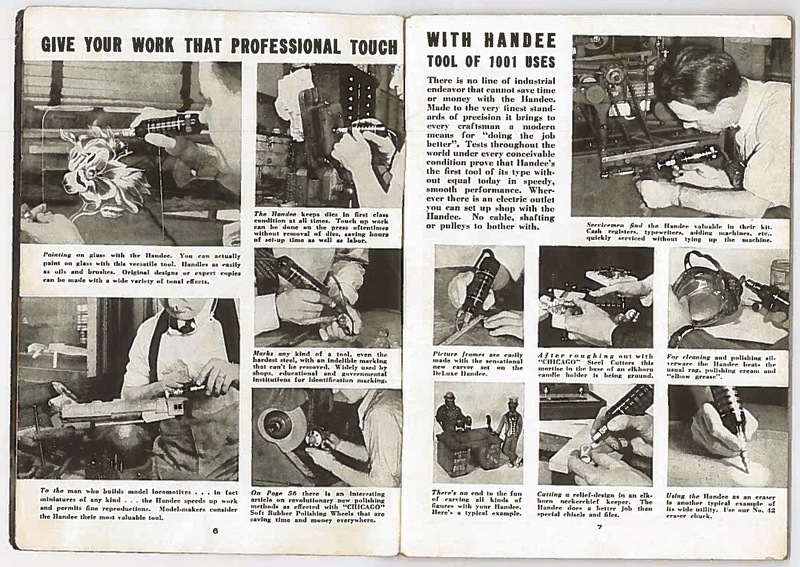 It's got a copyright date of 1940 inside the front cover (and 1938 on the backpage, weird), the first couple of pages extoll the virtues and many uses of this handy Handee tool. 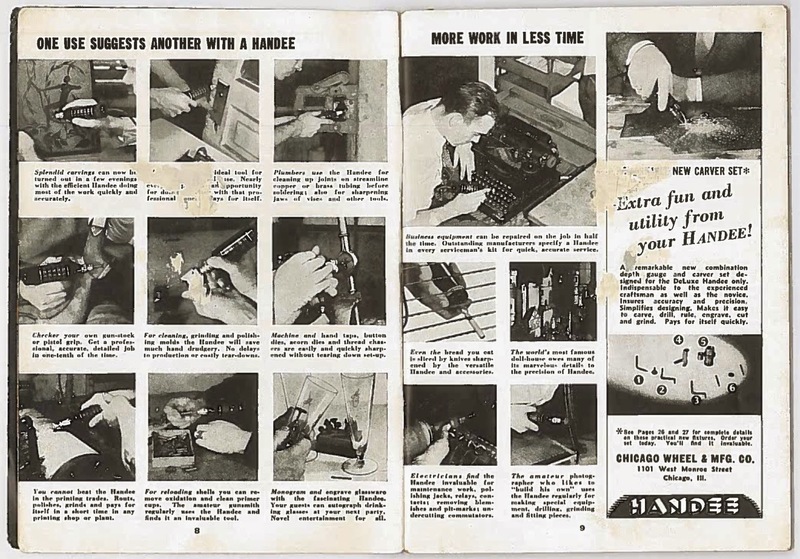 And on the top of page 9, it is found as a useful tool in servicing office equipment; in this case taking a Handee to a typewriter. 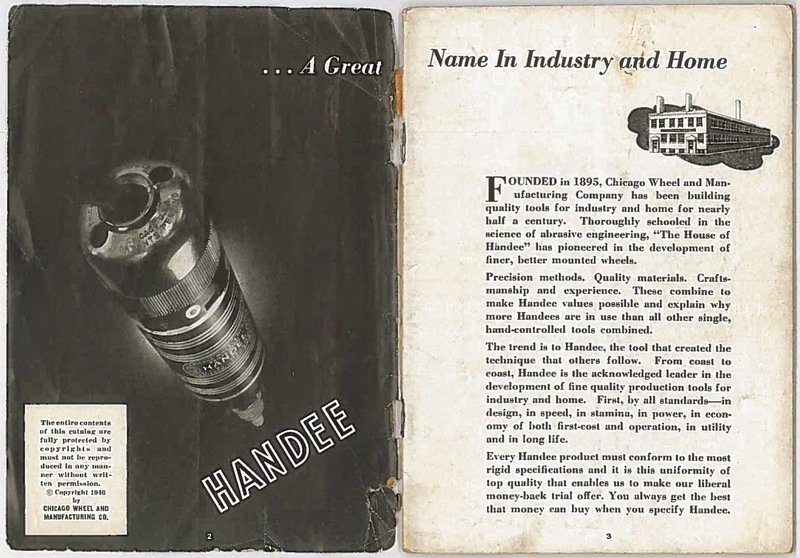 Taking a Handee (or a 'Dremel') to a typewriter was not my first thought when it comes to typewriter repair, but it will have its uses. 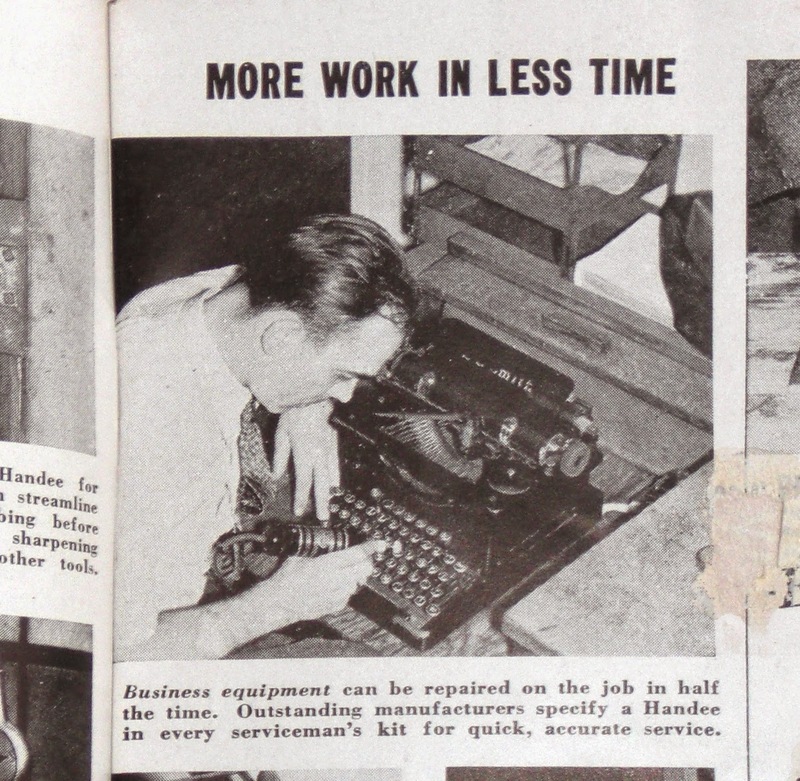 A polishing disk should really make those typebars shine, hoping it isn't a grinding wheel he's using on the keys. The potential for disaster might be greater than the benefits from using such a type of powertool. Neat. I find many uses for my Dremel in the home typewriter shop. 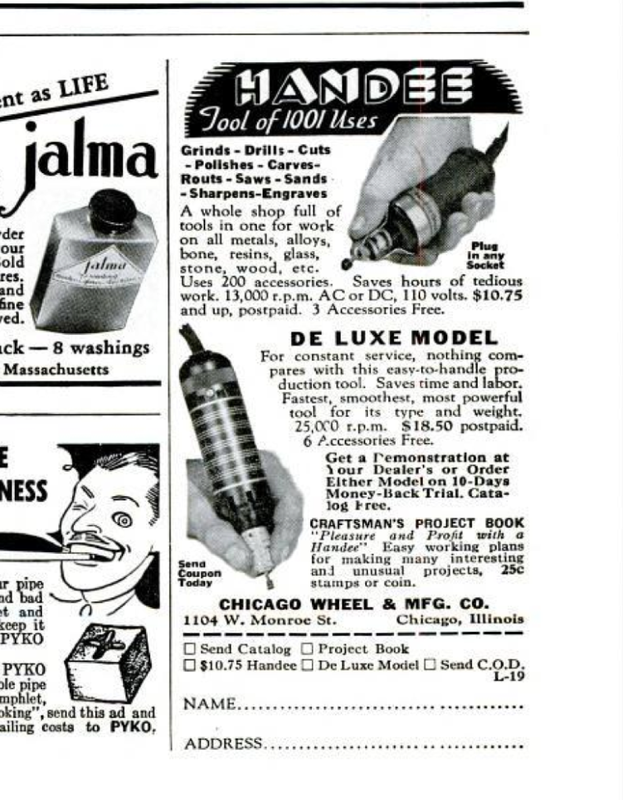 Die grinders have been around for a lot longer than since Dremel made them domestic! But these are great and very useful tools. Love the scans! 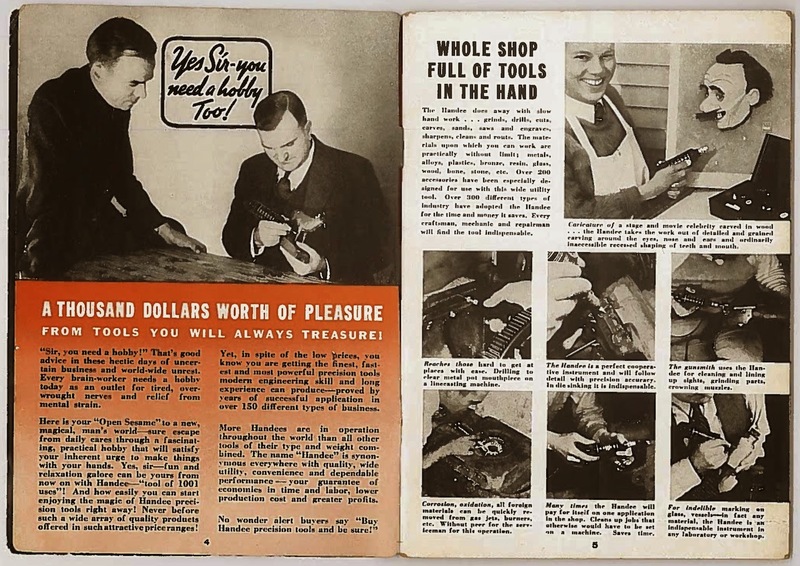 Will give this a try then, my 'shop' is mechanized but mostly use hand-powered tools. On the rusty RP2 project a Dremel may be very 'handy'. And the backspace doesn't erase! Creative re-use or mere vandalism?